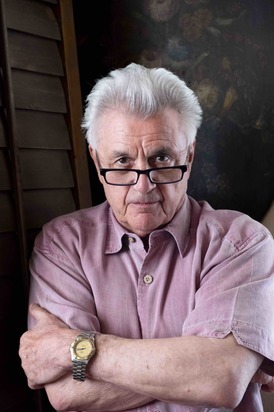 Dayton, OH - Writer John Irving (The World According to Garp, The Cider House Rules, A Prayer for Owen Meany), whose novels champion outsiders and often explore the bigotry, intolerance, and hatred directed at sexual minorities, will receive the 2018 Ambassador Richard C. Holbrooke Distinguished Achievement Award, organizers of the Dayton Literary Peace Prize announced today. Named in honor of the celebrated U.S. diplomat who played an instrumental role in negotiating the 1995 Dayton Peace Accords that ended the war in Bosnia, the award will be presented to Irving at the Dayton Literary Peace Prize Gala on October 28, 2018. Founded in 2006, The Dayton Literary Peace Prize is the only international literary peace prize awarded in the United States. It honors writers whose works use the power of literature to foster peace, social justice, and global understanding. The Ambassador Richard C. Holbrooke Distinguished Achievement Award recognizes authors for their complete body of work. Born in 1942, Irving published his first novel, Setting Free the Bears, in 1968 when he was twenty-six. He has been nominated for a National Book Award three times — winning once, in 1980, for his novel The World According to Garp, the story of T.S. Garp, a man born out of wedlock to a feminist leader. He received an O. Henry Award in 1981 for his short story “Interior Space.” In 2000, Irving won the Oscar for Best Adapted Screenplay for his novel The Cider House Rules, which explores the complex issues of abortion, racism, and addiction. In 2012, Irving won a Lambda Literary Award for his novel In One Person, the coming of age story of a bisexual man grappling with his sexual identity. His novels have been translated into more than thirty-five languages and his all-time best-selling novel, in every language, is A Prayer for Owen Meany, which deals with matters of faith, spirituality, and social justice. Irving, who lives in Toronto, is currently at work on his fifteenth novel — a ghost story called Darkness as a Bride. Irving will join the ranks of past winners of the Ambassador Richard C. Holbrooke Distinguished Achievement Award, formerly called the Lifetime Achievement Award, including Studs Terkel (2006), Elie Wiesel (2007), Taylor Branch (2008), Nicholas Kristof and Sheryl WuDunn (2009), Geraldine Brooks (2010), Barbara Kingsolver (2011), Tim O'Brien (2012), Wendell Berry (2013), Louise Erdrich (2014), Gloria Steinem (2015), Marilynne Robinson (2016), and Colm Tóibín (2017). Finalists for the 2018 Dayton Literary Peace Prize will be announced on August 14, 2018. The Dayton Literary Peace Prize honors writers whose work uses the power of literature to foster peace, social justice, and global understanding. Launched in 2006, it has established itself as one of the world’s most prestigious literary honors, and is the only literary peace prize awarded in the United States. As an offshoot of the Dayton Peace Prize, the Dayton Literary Peace Prize awards a $10,000 cash prize each year to one fiction and one nonfiction author whose work advances peace as a solution to conflict, and leads readers to a better understanding of other cultures, peoples, religions, and political points of view. Additionally, the Ambassador Richard C. Holbrooke Distinguished Achievement Award is bestowed upon a writer whose body of work reflects the Prize's mission; previous honorees include Wendell Berry, Taylor Branch, Geraldine Brooks, Louise Erdrich, Barbara Kingsolver, Nicholas Kristof and Sheryl WuDunn, Tim O'Brien, Marilynne Robinson, Gloria Steinem, Studs Terkel, Colm Tóibín and Elie Wiesel. For more information visit the Dayton Literary Peace Prize media center at http://daytonliterarypeaceprize.org/press.htm.